Offering top level performance and above standard fuel efficiency, Land Rover Td6 diesel engines provide consumers with a better vehicle option. When compared to gas engines, diesel engines offer better fuel economy, improved driving capabilities and are more environmentally friendly. See below to learn more about Land Rover Td6 diesel engines and why many drivers prefer them. Diesel fuel is one of the most efficient fuels on the planet. Less processed than traditional gasoline, diesel has a notably high energy density. Simply put, a gallon of diesel fuel goes a longer way than a gallon of most other fuels, including gasoline. Diesel’s high energy density, coupled with the efficiency of compression-ignition diesel engines, contribute to substantially better mileage over gasoline vehicles, resulting in fewer trips to the pump and reduced emissions. A Range Rover Sport with a Td6 Diesel engine gets 22 MPG5 to the V6 gasoline model’s 17MPG. A Range Rover Sport with a Td6 Diesel engine gets 29 MPG5 to the V6 gasoline model’s 23 MPG. Fuji White 2019 Land Rover Range Rover Velar D180 S 4WD 8-Speed Automatic 2.0L I4 Turbocharged Black Roof Rails, Rear Seat Convenience Pack, Smart Phone Pack, Premium Interior Protection & Storage Pack, 19" 5 Spoke Style 5046, 10-Way Front Seats w/Driver Memory, Auto-dimming door mirrors, Exterior Parking Camera Rear, Power Liftgate, Power moonroof, Radio: Meridian Sound System (380W), SiriusXM Satellite Radio & HD Radio. Recent Arrival! 26/30 City/Highway MPG Let the team at Joe Bullard introduce you to an entirely new kind of car-buying experience. You will love doing business with us no matter where you live! If you’re looking for your next Land Rover or Jaguar we have them! We stock over 200 pre-owned cars including all makes and models to fit your lifestyle! We have your next used car, truck or SUV and something for every taste and every need. If you want peace of mind our Certified sales staff and technicians are here to help! We offer a variety of financing opportunities! If you are asking yourself what is my trade worth, we can help you answer that too! Servicing the Mobile Alabama area and we ship to anywhere in the US! We stand up to what we say and its simple! The customer comes first! Visit us at any of our locations or 24/7 at www.joebullard.com. Fuji White 2019 Land Rover Range Rover Velar D180 S 4WD 8-Speed Automatic 2.0L I4 Turbocharged Premium Interior Protection & Storage Pack, Smart Phone Pack, Rear Seat Convenience Pack, Car Care Pack, Black Contrast Roof, Configurable Ambient Interior Lighting, Black Roof Rails, Ebony Black Headliner, 19" 5 Spoke Style 5046, Black Exterior Package, Narvik Black Grill Mesh, Narvik Black Mirror Scalps, Radio: Meridian Sound System (380W), SiriusXM Satellite Radio & HD Radio. Recent Arrival! 26/30 City/Highway MPG Let the team at Joe Bullard introduce you to an entirely new kind of car-buying experience. You will love doing business with us no matter where you live! 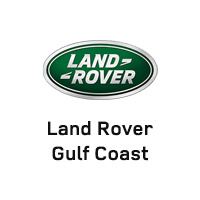 If you’re looking for your next Land Rover or Jaguar we have them! We stock over 200 pre-owned cars including all makes and models to fit your lifestyle! We have your next used car, truck or SUV and something for every taste and every need. If you want peace of mind our Certified sales staff and technicians are here to help! We offer a variety of financing opportunities! If you are asking yourself what is my trade worth, we can help you answer that too! Servicing the Mobile Alabama area and we ship to anywhere in the US! We stand up to what we say and its simple! The customer comes first! Visit us at any of our locations or 24/7 at www.joebullard.com. 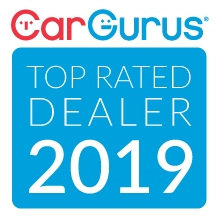 Fuji White 2019 Land Rover Discovery SE 4WD ZF 8-Speed Automatic Turbodiesel Navigation / GPS, 3rd Row Seat, Leather, Rear Back-Up Camera, USB / AUX Ports, Keyless Entry, Memory Seat, Navigation system: InControl Touch Pro Navigation System. 21/26 City/Highway MPG Let the team at Joe Bullard introduce you to an entirely new kind of car-buying experience. You will love doing business with us no matter where you live! If you’re looking for your next Land Rover or Jaguar we have them! We stock over 200 pre-owned cars including all makes and models to fit your lifestyle! We have your next used car, truck or SUV and something for every taste and every need. If you want peace of mind our Certified sales staff and technicians are here to help! We offer a variety of financing opportunities! If you are asking yourself what is my trade worth, we can help you answer that too! Servicing the Mobile Alabama area and we ship to anywhere in the US! We stand up to what we say and its simple! The customer comes first! Visit us at any of our locations or 24/7 at www.joebullard.com. Indus Silver Metallic 2019 Land Rover Discovery HSE 4WD ZF 8-Speed Automatic Turbodiesel Rear Seat Convenience Pack, Premium Interior Protection & Storage Pack, Wade Sensing, Front Fog Lights, Front Center Console Cooler Compartment, 20" 5 Split-Spoke Style 5011 with Gloss Black Finish, 4-Zone Climate Control, 7 Seat Luxury Climate Comfort Package, 7 Seat Package, Active Rear Locking Differential, Advanced Tow Assist, All Terrain Progress Control, Auto High-beam Headlights, Auto tilt-away steering wheel, Auto-dimming door mirrors, Black Design Package, Capability Plus Package, Climate Front & Rear Seats w/Heated 3rd Row Seats, Distance pacing cruise control: Adaptive Cruise Control with Stop and Go, Electronic Air Suspension, Gloss Black Door Mirror Caps, Gloss Black Front Grille, Head-Up Display, Heated Dr/Pass 16 Way Fr Seats w/Memory - Style 4, Heated Steering Wheel, Heated Washer Jets, Intelligent Seat Fold, Power 3rd Row Seats, Power moonroof, Radio: Meridian Sound System (380 Watts), Remote Intelligent Seat Fold Package, SiriusXM Satellite Radio & HD Radio, Speed control, Windsor Leather Seat Trim. Recent Arrival! 21/26 City/Highway MPG Let the team at Joe Bullard introduce you to an entirely new kind of car-buying experience. You will love doing business with us no matter where you live! If you’re looking for your next Land Rover or Jaguar we have them! We stock over 200 pre-owned cars including all makes and models to fit your lifestyle! We have your next used car, truck or SUV and something for every taste and every need. If you want peace of mind our Certified sales staff and technicians are here to help! We offer a variety of financing opportunities! If you are asking yourself what is my trade worth, we can help you answer that too! Servicing the Mobile Alabama area and we ship to anywhere in the US! We stand up to what we say and its simple! The customer comes first! Visit us at any of our locations or 24/7 at www.joebullard.com. Santorini Black Metallic 2019 Land Rover Range Rover HSE 4WD ZF 8-Speed Automatic Turbodiesel Wheel Protection Pack Chrome Locks, Premium Interior Protection & Storage Pack, Rear Seat Convenience Pack, Domestic 110 Volt Power Sockets, Front Center Console Cooler Compartment, Heated Windshield, 21" 7 Split-Spoke Style 7001 Wheel, Cabin Air Ionization, Ebony Morzine Headlining, Ebony/Ebony/Ebony/Ebony Leather, 20-Way Heated/Cooled Front Seats, 4-Zone Climate Control, Adaptive Cruise Control w/Stop & Go, Android Auto, Apple CarPlay, Auto High Beam Assist (AHBA), Blind Spot Assist, Configurable Ambient Interior Lighting, Drive Pro Pack, Driver Condition Monitor, Front Fog Lights, Head-Up Display, High Speed Emergency Braking, Lane Keep Assist, Smartphone Pack, Traffic Sign Recognition & Adaptive Speed Limiter, Vision Assist Pack. Recent Arrival! 22/28 City/Highway MPG Let the team at Joe Bullard introduce you to an entirely new kind of car-buying experience. You will love doing business with us no matter where you live! If you’re looking for your next Land Rover or Jaguar we have them! We stock over 200 pre-owned cars including all makes and models to fit your lifestyle! We have your next used car, truck or SUV and something for every taste and every need. If you want peace of mind our Certified sales staff and technicians are here to help! We offer a variety of financing opportunities! If you are asking yourself what is my trade worth, we can help you answer that too! Servicing the Mobile Alabama area and we ship to anywhere in the US! We stand up to what we say and its simple! The customer comes first! Visit us at any of our locations or 24/7 at www.joebullard.com.